Here is a beautiful example of our guests journey with her Intense Pulsed Light treatment to her face. We LOVE this example of the predictable, quick changes and transformation you can see after having IPL. IPL is used to remove unwanted pigmentation, sunspots and redness without having downtime and in a single treatment, you can get remarkable clearing and brightening of the skin. After IPL, you can see in stage 1 and 2, that the excess pigmentation actually gets darker. This is a measurable way to know that the Intense Pulsed Light is going to work its wonders. As this client stated, “I look horrible….in the best way. So far so good.” Yes! We know that all this darker pigmentation showing up means that she will get the great clearing she is experiencing in stage 3 and 4. After IPL, you can cover your skin immediately with makeup so there is no downtime and the results of IPL are IMPRESSIVE. There is also no flaking of the skin unlike a chemical peel. Speaking of chemical peel, we often combine IPL with a chemical peel the same day. This gives our clients an additional skin care boost and they love it. 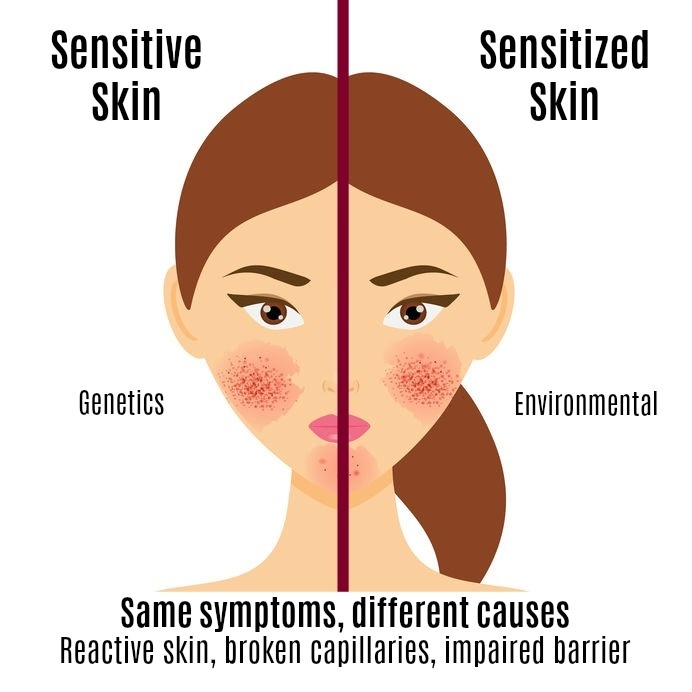 We can also continue to enhance their results with the ZO Skin Health line of products incorporating Brightalive, Wrinkle and Texture Repair, Retinal Skin Brightening and other medical grade brightening products as well as protect her results with Oclipse C SPF 50 sunblock. 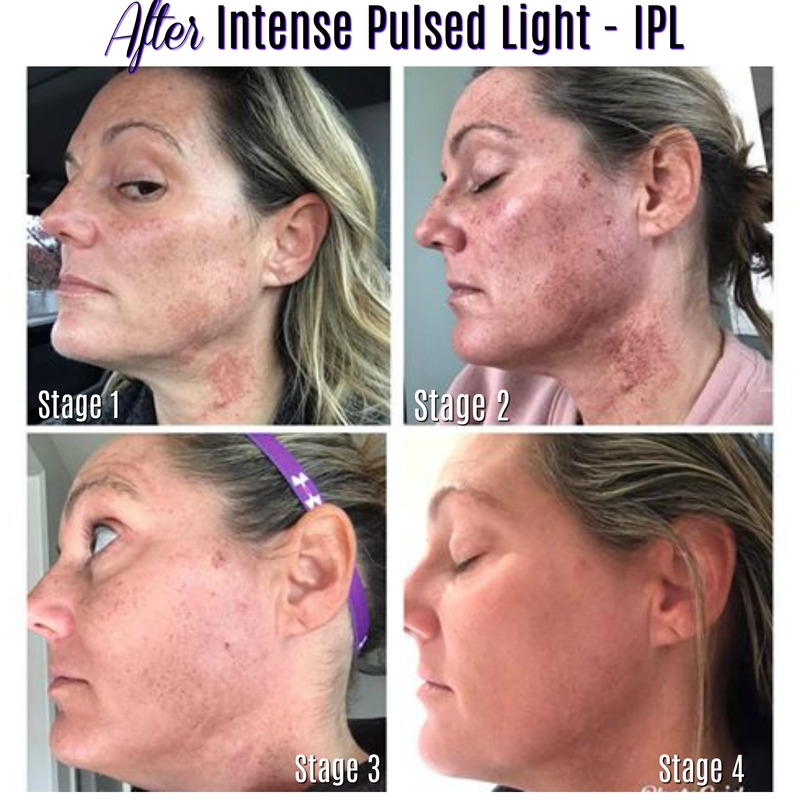 In summary, IPL has no downtime, can dramatically remove sun spots and redness, has no flaking or inconvenience of peeling skin and the results are superb. IPL can be used on the face, chest, neck and body. Our providers are certified laser operators and have passed a national test to accomplish this rare credential. Our Delaware med spa also provides laser therapies, Botox and fillers, Sculptra, Exilis Ultra as well as microdermabrasions, dermaplaning, facials, lip filler and anti-aging services. We offer a comprehensive consultation to review your concerns and make a plan of action to give you the results you are looking for in skin health and wellness. Check out our med spa reviews and before and after gallery of our results. Here is another example of IPL chest rejuvenation.